The money would also go toward getting patients quicker care in emergency wards, she said at a campaign event in Calgary on Tuesday. She forecasts almost 40,000 Albertans would get faster cancer, open-heart and cataract surgeries over the next three years under the NDP’s plan. The plan builds on work already done to reduce wait times for breast cancer surgery, stroke treatment centres and radiation therapy, she said. “We have made good progress fighting for quality public health care, but we know there is more to do,” said Notley. New rules would allow a single EMS crew to care for up to three patients needing admission, so that the majority of crews would be able to return to patrol within 90 minutes, the NDP said in a release. 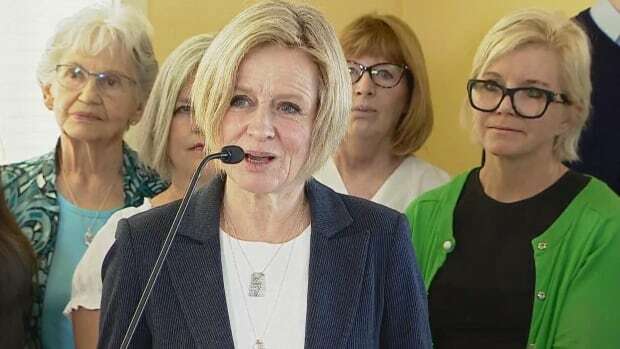 Notley also promised to fund a new 10-bed mental health crisis unit at the Foothills Hospital emergency room as part of an expansion of psychiatric emergency services. United Conservative Leader Jason Kenney has said he wouldn’t cut health budgets but would look to reduce administrative overlap.